The Russian frigate ‘Admiral Grigorovich’ has left the port of Sevastopol, Crimea, heading to the Mediterranean Sea to join the Russian Black Sea Fleet, the fleet’s head of communications has said. “Today, under the plan of combat training, the cutting-edge frigate ‘Admiral Grigorovich’ has left Sevastopol and set a course for the Black Sea straits. The military vessel, under the command of Captain 3rd-Class Anatoly Velichko, has embarked on its third long-distance mission, during which it will carry out tasks as part of the Russian Navy’s permanent task force in the Mediterranean,” Captain 1st-Class Vyacheslav Trukhachyov said on Monday. The military vessel is equipped with cruise missiles “Caliber”, a defense missile system, a gun mount 100mm in caliber, anti-aircraft equipment and torpedoes. 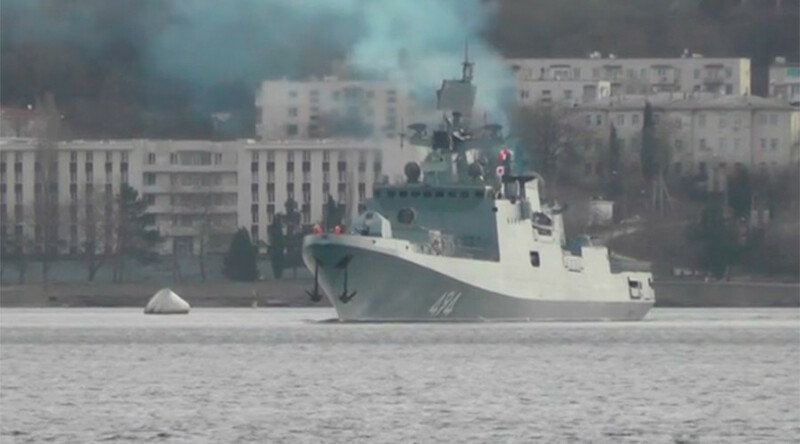 The frigate is said to be joining the Russian fleet near the Syrian coast late on Tuesday, a source told Interfax. The ‘Admiral Grigorovich’ is the first among six frigates obtained by the Russian Navy seven years ago. Its draught is 4,000 tons, and speed is estimated at 30 knots (55kph). Earlier this month, the aircraft carrier ‘Admiral Kuznetsov’ and the nuclear-powered guided missile cruiser ‘Peter the Great’ returned from their mission in Syria to the main northern base of the Russian Navy, Severomorsk. 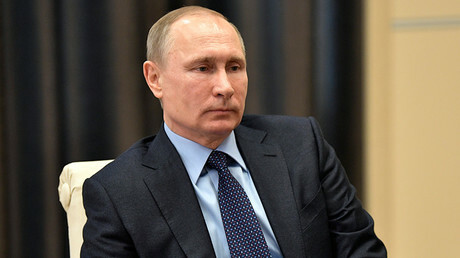 This followed the January statement, issued by the head of the Russian general staff, Valery Gerasimov, that Russia is starting to curb its naval presence in Syria after a decision by Russian President Vladimir Putin.